Tickets for Big Hit Entertainment’s newest band since BTS, TOMORROW X TOGETHER first-ever US showcase tour go on sale TODAY at 4PM local time. The showcase, introducing fans Stateside to their fresh new sound, will kick off in New York City and will make stops in Chicago, Orlando, Atlanta and Dallas before wrapping May 24 in Los Angeles. 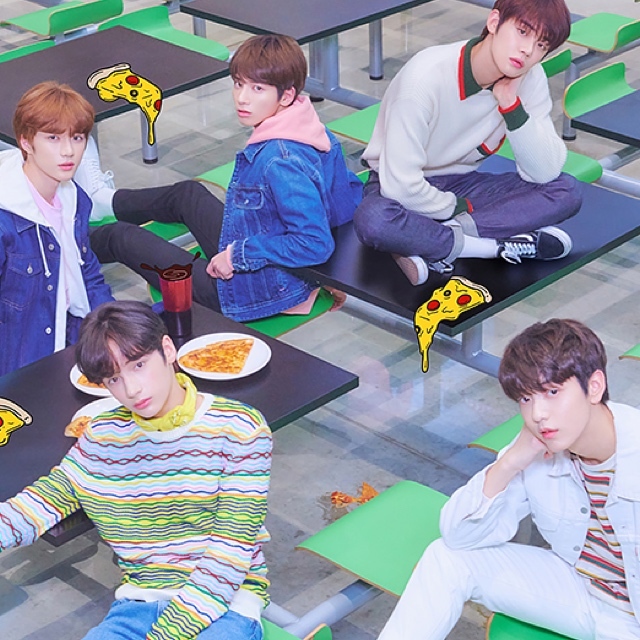 The band’s five members, SOOBIN, YEONJUN, BEOMGYU, TAEHYUN and HUENINGKAI are all excited to create an unforgettable experience for their fans. Tickets are available for purchase at 4PM on AXS for New York, Orlando, and Los Angeles. Tickets are available for purchase at 4PM on Ticketfly for Chicago and Dallas. Tickets are available for purchase at 4PM on Ticketmaster for Atlanta. View all TOMORROW X TOGETHER SHOWCASE: STAR in US tickets HERE. TOMORROW X TOGETHER is currently the highest-selling K-pop rookie act of 2019. With The Dream Chapter: STAR, TOMORROW X TOGETHER debuted at No.1 on Billboard’s Emerging Artists, World Albums & World Digital Song Sales charts, as well as became the highest charting debut album by an all-male K-pop group on the Billboard Top 200. For more information on TOMORROW X TOGETHER, visit: HERE. Watch the video for their lead single ‘CROWN’ HERE. TOMORROW X TOGETHER, read as ‘tomorrow by together’, has come together under one dream in hopes of building a new tomorrow. 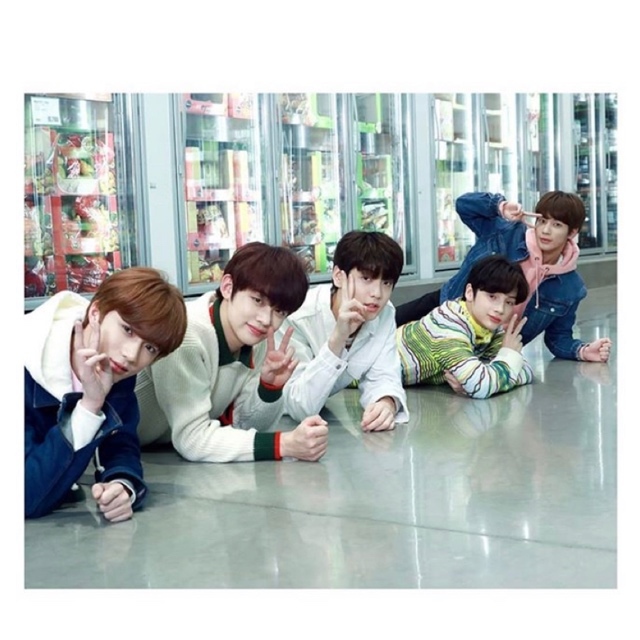 Composed of five members, SOOBIN, YEONJUN, BEOMGYU, TAEHYUN, HUENINGKAI, the band is full of bright and playful energy, where each member is different from one another, shining in their own way to create synergy. Founded in February 2005 in South Korea by CEO and Producer Bang Si-Hyuk, Big Hit Entertainment’s core business focuses on music production, artist management and publishing. Big Hit’s business ventures incorporate and develop a range of content produced from top-notch artists’ IP, including global boyband BTS and its newest addition TOMORROW X TOGETHER. With its mission of ‘Music & Artist for Healing’, Big Hit strives to impart a positive influence through content while providing comfort and inspiration to music fans worldwide. This entry was posted in Feature and tagged 360, 360 Magazine, Atlanta, Bang Si-Hyuk, BEOMGYU, Big Hit Entertainment, BTS, Chicago, Dallas, HUENINGKAI, K-pop, Los Angeles, new york city, Orlando, showcase, SOOBIN, South Korea, TAEHYUN, Tara McDonough, The Dream Chapter: STAR, tomorrow by together, TOMORROW X TOGETHER, US debut, Vaughn Lowery, YEONJUN on April 19, 2019 by wp360mag. TOMORROW X TOGETHER will kick off their US run in New York City and will make stops in Chicago, Orlando, Atlanta and Dallas before wrapping May 24 in Los Angeles. Tickets are available for purchase at 4PM PT/ 7PM ET on April 19. For more information on TOMORROW X TOGETHER, please visit: https://txt.ibighit.com/. This entry was posted in Fashion + Music and tagged 360, 360 Magazine, Atlanta, BEOMGYU, Big Hit Entertainment, BTS, Chicago, Dallas, HUENINGKAI, Los Angeles, mtv, new music, new york city, Orlando, SOOBIN, TAEHYUN, Tara McDonough, The Dream Chapter: STAR, TOMORROW X TOGETHER, US debut, Vaughn Lowery, YEONJUN on April 9, 2019 by wp360mag. Today Live Nation Urban reveals the details for the fifth annual Summer Block Party Festival. The preeminent destination for soul and R&B devotees since 2015. Tickets will be available on Friday April 5 at 10am local time. For more information on ticketing click HERE. Not only does the festival return to Philadelphia, Houston, and Chicago, but Live Nation Urban also schedules its very first Dallas engagement. This expansion remains a testament to the growing popularity of Summer Block Party Festival. In 2019, the stage will once more play host to genre legends as well as today’s hottest breaking talent, upholding a five-year tradition and commitment to excellence in soul and R&B. 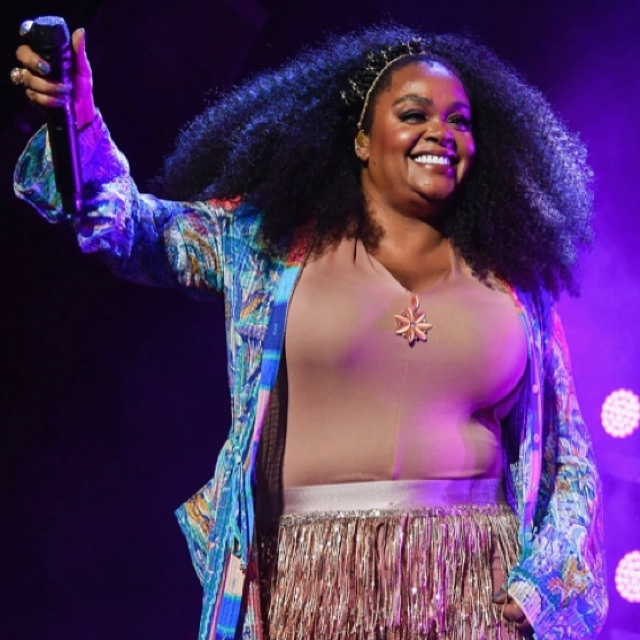 For the 2019 series, GRAMMY Award-winning modern icon Jill Scott headlines all four dates. Meanwhile, GRAMMY Award-nominated soul songstress and hometown hero Jazmine Sullivan joins the bill as direct support on the Philadelphia concert at Mann Center for Performing Arts on June 29. Soul icon Faith Evans and Tweet round out the lineup for the Dallas engagement July 5 at Toyota Music Factory. A day later, Boyz II Men and rising star Lucky Daye& grace the stage in Houston at Cynthia Woods Mitchell Pavilion. For the fifth year, the festival resumes at its original Chicago site on Huntington Bank Pavilion at Northerly Island on July 13 with Anthony Hamilton MA$E, Carl Thomas. The full itinerary and each respective lineup can be found enclosed below. Summer Block Party sets the pace for R&B and soul-centric festival. Since its launch in 2015, it has sold out every year and steadily grown with lineups consisting of genre luminaries and the next generation’s hottest young R&B stars. Previous lineups boasted everyone from Erykah Badu and Jazmine Sullivan to Miguel, Babyface, Ludacris, Ledisi and SWV, to name a few. This entry was posted in Uncategorized and tagged 360, 360 Magazine, Anthony Hamilton, April Bussey, artists, Chicago, Dallas, dates, entertainment, festival, Houston, Jazmine Sullivan, Jill Scott, Live Nation Urban, music, performances, r&b, summer, Summer Block Party, Texas, tickets, Vaughn Lowery on April 1, 2019 by wp360mag. As 2019 dawns, some people are taking a “new year-new you” approach. They’re determined to make self-improvements that provide a fresh, positive outlook and strong sense of well-being. But sometimes health factors undermine those good intentions, such as depression and its link to hormone imbalances. There are myriad ways both men and women suffer adverse effects to their hormones, says Don Colbert, M.D., and many of them are avoidable. “We are exposed to thousands of toxic chemicals on a regular basis in the air, water and food,” says Colbert, author of Dr. Colbert’s Hormone Health Zone. “Some of them are hormone disruptors because they disturb your endocrine system, wreaking havoc and creating hormonal imbalances. Don Colbert, M.D., is the author of Dr. Colbert’s Hormone Health Zone. He has been a board-certified family practice doctor for more than 25 years and has offices in Orlando, Fla., and Dallas. 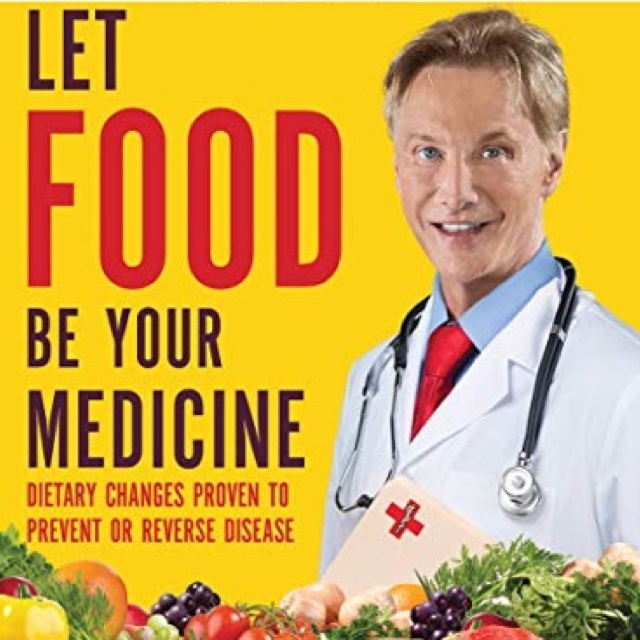 The author of over 40 books, he wrote two New York Times best-sellers – The Seven Pillars of Health and Dr. Colbert’s “I Can Do This” Diet – has sold more than 10 million books and treated 50,000-plus patients. Dr. Colbert is a frequent show guest of Christian leaders Joyce Meyer, John Hagee, and Kenneth Copeland and has been featured on The Dr. Oz Show, Fox News, ABC World News Tonight, and in periodicals such as Newsweek and Reader’s Digest. This entry was posted in Health and tagged 360, 360 Magazine, bpa, cancer, Dallas, Dr. Colbert, dr. colbert’s hormone health zone, Florida, health, hormone disruptors, hormones, imbalance, John Hagee, Joyce Meyer, Kenneth Copeland, Mayo Clinic, Orlando, Tara McDonough, Texas, Vaughn Lowery on March 15, 2019 by wp360mag. Singer, songwriter, and producer Jake Miller releases new song “NIKES” today off his highly anticipated six-song EP entitled BASED ON A TRUE STORY. due out on March 29th via RED MUSIC. The 80s synth-infused track is backed by rich production, personal lyrics, and a hummable guitar all courtesy of Miller. “NIKES” debuted on 10 New Music Friday playlists worldwide including the U.S. as well as Apple Music’s Best of the Week playlist. It is the follow up to Miller’s hit “WAIT FOR YOU,” which is currently sitting in the Top 45 at U.S. pop radio and has clocked 5 million U.S. streams to date. In support of his new song, Miller today launches a new “NIKES”-inspired merchandise line that includes robust hoodies, long sleeve and short sleeve t-shirts, totes, and shoelaces. Fans can check out the new products via Jake’s official Sony Thread Shop web store at shop.jakemiller.com/store. Jake recently announced his spring headlining ‘WAIT FOR YOU’ Tour that kicks off on April 11 in Las Vegas and will hit 21 cities across the U.S. including major markets in New York, Los Angeles, Chicago, Houston, and Nashville. The tour will include support from special guests Logan Henderson and Just Seconds Apart. Prior to hitting the road, Jake will play iHeartRadio’s Blossom Bash alongside Meghan Trainor and MAX in Washington, D.C. on April 5th as part of the National Cherry Blossom Festival. Tickets for all shows are available online HERE. This entry was posted in Fashion + Music and tagged 360 Magazine, Adidas, art, Asbury Park, Boston, Cape Town, champion, cherry blossom fest, Chicago, culture magazine, Dallas, design, edgy fashion magzine, fila, ft laudy, Indie Music, Johanessburg, las vegas, London, Los Angeles, March, Miami, Milan, Minneapolis, music, New York, newmusic, Nikes, Oakland, Paris, Philadelphia, robust, San Francisco, shoes, Sweden, Tacoma, tickets, true story, Under Armour, wait for you on March 15, 2019 by wp360mag. On Friday, March 1st, the Dallas Mavericks will host the fourth annual Mavs Ball presented by Smith Thompson Home Security benefiting the Mavs Foundation. The star-studded night, hosted by FOX Sports Southwest’s Mark Followill and Dana Larson, will include a cocktail reception, seated dinner, live and silent auctions and entertainment by the Grammy Award-winning group, Boyz II Men. The entire 2018-2019 Dallas Mavericks team, Owner Mark Cuban, and Head Coach Rick Carlisle will all be in attendance. Mavs Ball is the premier fundraiser for the Mavs Foundation, the non-profit arm of the Dallas Mavericks, dedicated to serving women, children and families in need across North Texas. This year’s event will celebrate the 2018-2019 Mavs Foundation Grant Recipients: CitySquare, Community Partners of Dallas, Dallas 24 Hour Club, Essilor Vision Foundation, Hope Supply Co., Hunger Busters, Jonathan’s Place, Leukemia Texas, Mission Possible Kids, POETIC, Voice of Hope and YMCA Waxahachie. 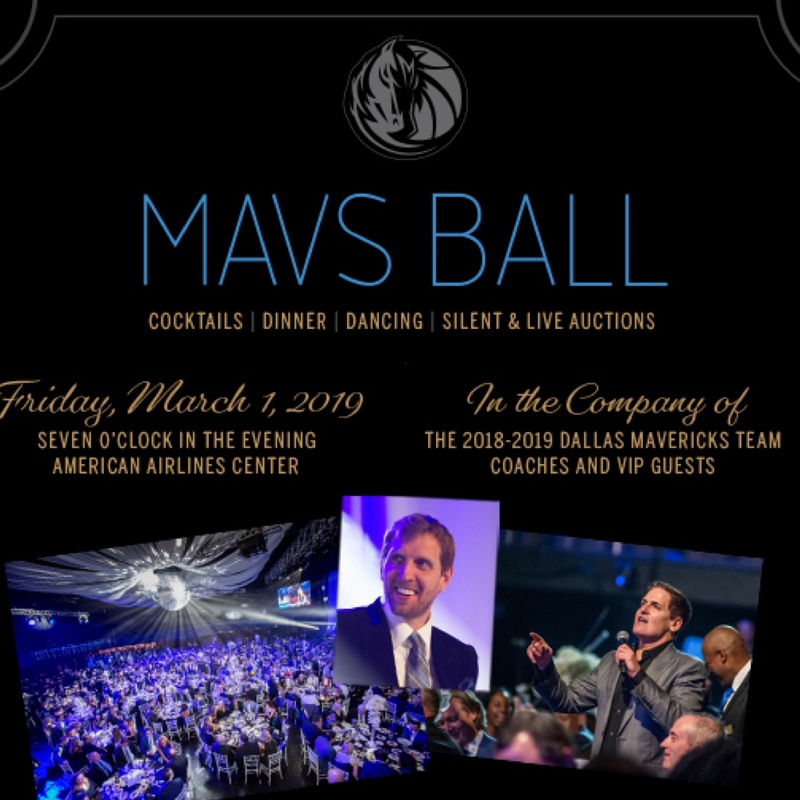 Mavs Ball will take place on Friday, March 1, 2019, from 7:00PM to 11:00PM at American Airlines Center (2500 Victory Avenue, Dallas, TX 75219). Proud sponsors for the event include: Smith Thompson Home Security, 5miles, Morgan Stanley, Legacy Exploration and KPMG. This entry was posted in Uncategorized and tagged 360 Magazine, American Airlines Center, Annual, Auction, Basketball, Boyz II Men, City Square, Dallas, Dallas Mavericks, Fox Sports Southwest, fundraiser, Grant Recipients, kpmg, Legacy Exploration, Mark Cuban, Mavs, Mavs Ball, Mavs Foundation, Morgan Stanley, National Basketball Association, NBA, pop culture, reception, Reid Urban, Rick Carlisle, Smith Thompson Home Security, star studded, Vaughn Lowery, Voice of Hope, YMCA on February 28, 2019 by wp360mag. ScoreMore Shows is proud to announce the full music lineup for the seventh annual JMBLYA, which will return to Dallas and Austin May 3 and 4, respectively. GA and VIP ticket packages will go on sale this Friday, March 1, at noon CT at www.jmblya.com. The two-city, two-day fest is set to officially kick off in Dallas on Friday, May 3 with a return to the historic Fair Park near downtown Dallas followed by a stop in Austin on Saturday, May 4 at the award-winning, multi-purpose entertainment facility Circuit of The Americas (COTA). Last year, both locations hosted JMBLYA’s largest crowds to date with 60,000+ total attendees across two days. Parking will once again be complimentary to all attendees at COTA. Other notable performers on the lineup include three generations of outstanding emcees from Louisiana, including Grammy Award-winning and oft-labeled “Best Rapper Alive” Lil Wayne, who continues to perform in support of his recently released, long-awaited twelfth studio album, Tha Carter V; hustler-turned-rapper Kevin Gates, who continues to churn out new music following 2018’s Chained to the City and Luca Brasi 3 mixtapes; and one of today’s most exciting up-and-comers, YoungBoy Never Broke Again, who continues to perform in support of his debut studio album, Until Death Call My Name, released last spring. Also set to grace the main stages at JMBLYA 2019 are rappers Gunna and Sheck Wes, both of whom are touring with Travis Scott as part of his nationwide “Astroworld—Wish You Were Here” tour; viral sensation-turned-emcee Bhad Bhabie, who is currently the youngest female rapper ever to appear on the Billboard Hot 100 chart and who continues to tease new music from her yet-to-be-named debut album; and Los Angeles hot act Blueface, whose most recent single, “Thotiana,” continues to gain popularity while making waves on radio stations across the country. Additional performers include female hip-hop duo City Girls, who are currently signed to Quality Control, the music label home to other rap megastars like Migos, Cardi B, and Lil Yachty; Houston’s own Maxo Kream, who just released his long-awaited debut album, Punken, this past January; and rising Filipino-American artist P-Lo, who might be most known for founding the hip hop record production collective HBK Gang and who released his sophomore studio album, PRIME, this past July. Two aspiring Texas-based emcees, WhooKilledKenny from Austin and 10k.caash from Dallas, help to round out the 2019 lineup. GA tickets for each stop on the traveling Texas tour will be available for sale starting at just $59 beginning at noon CT on Friday, March 1 at www.jmblya.com. Similar to previous years, JMBLYA will also offer several types of VIP packages for those looking to elevate their on-site experience. The VIP options this year include Pinky Ring VIP ($179), which will provide a variety of amenities, including a premium viewing area at both stages, access to a private lounge with dedicated bar, and various VIP-only food trucks, expedited festival entry through a VIP-only entrance, dedicated merch tent, and private air-conditioned trailer bathrooms. Other VIP perks offered include complimentary massages, barbers and a beauty bar, as well as IV Vitamin Treatments from Drip Drive, free cell phone charging stations and perks like lawn games, access to lockers, and more. Gator Boots VIP ($249) features all of the previously listed Pinky Ring amenities, plus exclusive JMBLYA merch, including a clear backpack, hoodie, hat, and commemorative laminate which are not available to GA attendees. Festival attendees who opt to purchase Fur Coat VIP ($499) will have access to all previously listed on-site comforts, as well as premium elevated viewing cabanas, an ultra-exclusive air-conditioned VIP hideaway lounge featuring live streams of all main stage performances, and all-day happy hour drink pricing (for guests 21+). This year, JMBLYA is also offering its most luxurious VIP ticket option to date with the debut of the Drop Top VIP package for $2500. This package includes four festival passes, complimentary golf cart rides from stage to stage, a personal professional photographer assigned to the ticket-buyer and their three guests throughout the event; a very special and private porta-potty with a bathroom attendant; a custom shout-out from JMBLYA’s social media channels, a Drop Top-only trailer filled with free snacks and non-alcoholic refreshments, and two food vendor tickets valid for use at any food vendors on the festival grounds. Those interested in any of the VIP packages, especially Drop Top VIP, are encouraged to act fast and purchase soon as each option is limited in quantity. Each leg of the 2019 festival will again support a local charitable partner. 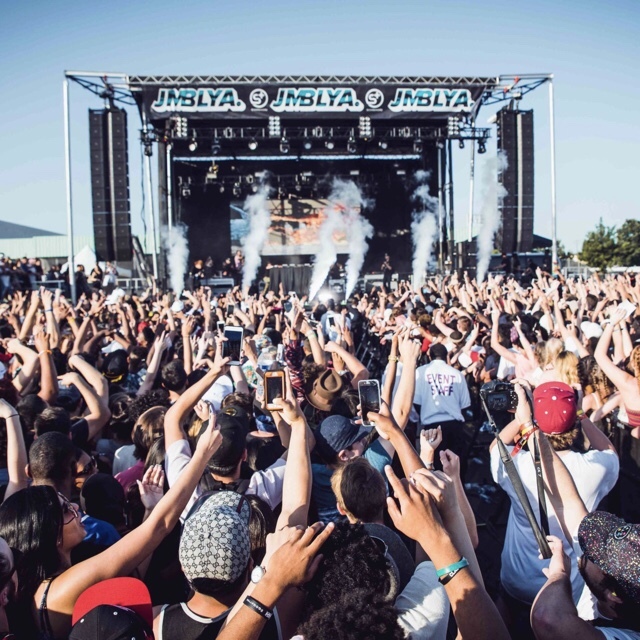 On Day 1 in Dallas, JMBLYA will benefit Music Forward, a highly-regarded nonprofit organization which transforms young lives, inspires careers, and champions a more inclusive music industry. Music Forward has impacted over 1M lives and invested $25M towards providing transformational music opportunities to youth from under-represented communities during the last 25+ years. In Austin for Day 2, the festival will donate a portion of proceeds to Grounded in Music, an Austin-based 501(c)3 nonprofit organization which works with underprivileged children in grades 4 and up to provide music instruction that would be otherwise absent from their school’s curriculum and to connect children with nationally-recognized musicians, opportunities, and scholarships. JMBLYA would also like to thank returning sponsors Tito’s Handmade Vodka and Red Bull who are helping to make the 2019 festival possible. Be on the lookout as more JMBLYA news, including the full performance schedule will be announced in the coming weeks. 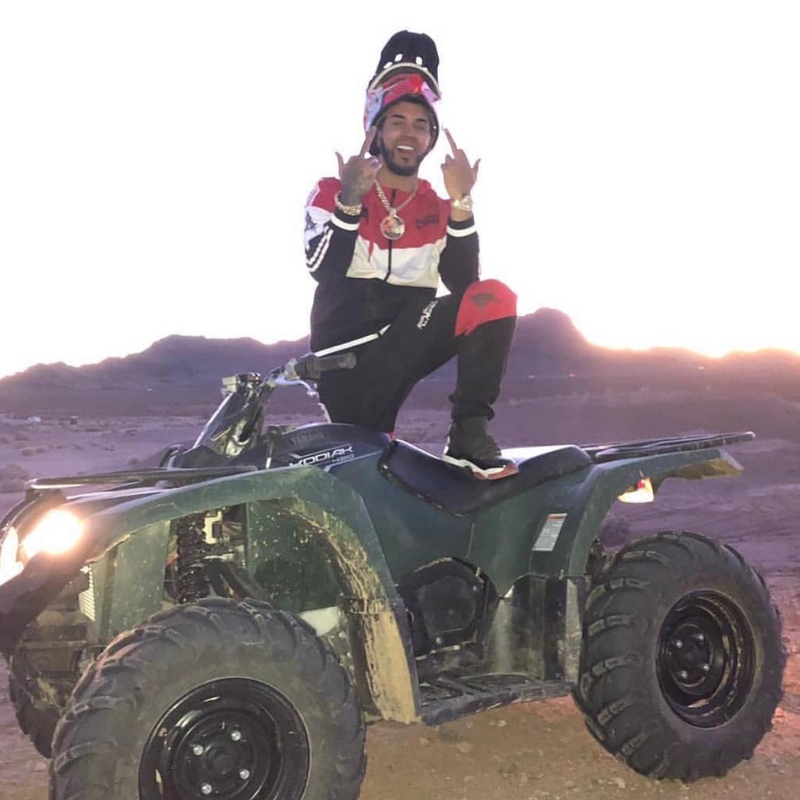 This entry was posted in Feature and tagged 10k.caash, 360, 360 Magazine, Bhad Bhabie, Blueface, Dallas, festival, ga, Grammy, Gunna, JMBLYA, JMBLYA Festival, Kevin gates, Lil Wayne, lineup, Madison Smushkevich, Maxo Kream, Music Forward, P-Lo, Sheck Wes, Texas, Travis Scott, Vaughn Lowery, VIP, VIP Package, WhooKilledKenny, youngboy, City Girls on February 25, 2019 by wp360mag. 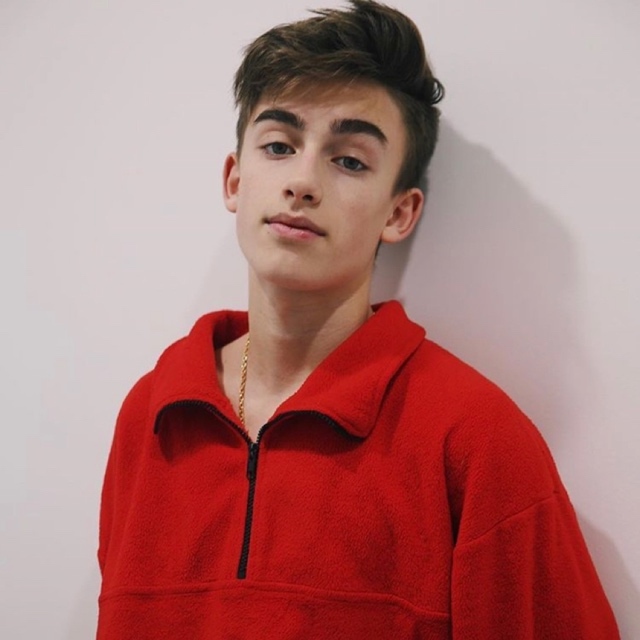 Singer-songwriter and fan favorite Johnny Orlando shows no sign of slowing down. Set to share his first solid musical statement in the form of his debut EP, Teenage Fever, out March 15, followed by a headlining North American tour this spring, the recent JUNO-Award nominee for Breakthrough Artist of the Year also drops his dreamy new single, “Sleep” today. Tickets for the Teenage Fever Tour are on sale February 18 at johnnyorlandomusic.com. To pre-order Teenage Fever, click here. See full track listing below. “Sleep”, co-written by Orlando, his sister Darian and Swedish collaborators Linnea Södahl (Zara Larsson, Anne-Marie) and Hampus Lindvall (Zara Larsson), is the second single from Johnny’s upcoming debut EP. The pop Swedish-influenced song about living in the moment and not wanting that moment to end showcases Johnny’s maturing sound and songwriting skills. Out March 15, Teenage Fever marks Orlando’s biggest release since signing with Universal Music Canada and Island Records. Emanating confidence and charisma over danceable electronic grooves and a subtle hip-hop bounce, Orlando levels up his take on pop. The EP highlights his ever-evolving songwriting skills as he co-writes all six tracks with his sister, Darian Orlando, and a range of acclaimed collaborators including Mike Wise (bülow, Dvbbs, RALPH), Linnea Södahl (Zara Larsson, Anne-Marie), Nick Ruth (Ryan Tedder), Jordon Manswell (Daniel Caesar) and Matthew Burnett (Jessie Reyez, Daniel Caesar). The EP also features previously released single, “Last Summer” which sits at over 17.3 million global streams (and growing) across all platforms. Stay tuned for much more to come from Johnny Orlando at johnnyorlandomusic.com. This entry was posted in Design and tagged 360, 360 Magazine, Arizona, Baltimore, Boston, British Columbia, California, Charlotte, Chicago, Dallas, darian orlando, debut ep, Florida, Hampus Lindvall, Houston, Illinois, island records, Johnny Orlando, Linnea Södahl, Los Angeles, Maryland, massachusetts, Matthew Burnett, Mike Wise, Missouri, montreal, new music, New York, new york city, north carolina, ontario, Oregon, Orlando, Pennsylvania, Philadelphia, pontiac, Portland, Quebec, San Francisco, singer, sleep, songwriter, Tara McDonough, teenage fever, Texas, Toronto, Tucson, Universal Music Canada, Vancouver, Vaughn Lowery on February 15, 2019 by wp360mag. One of the most important nights of Hispanic music: Billboard Awards 2019, will witness the impressive professional growth of the King and pioneer of the Trap in Spanish: Anuel AA, who debuted with four nominations at the exclusive awards gala. 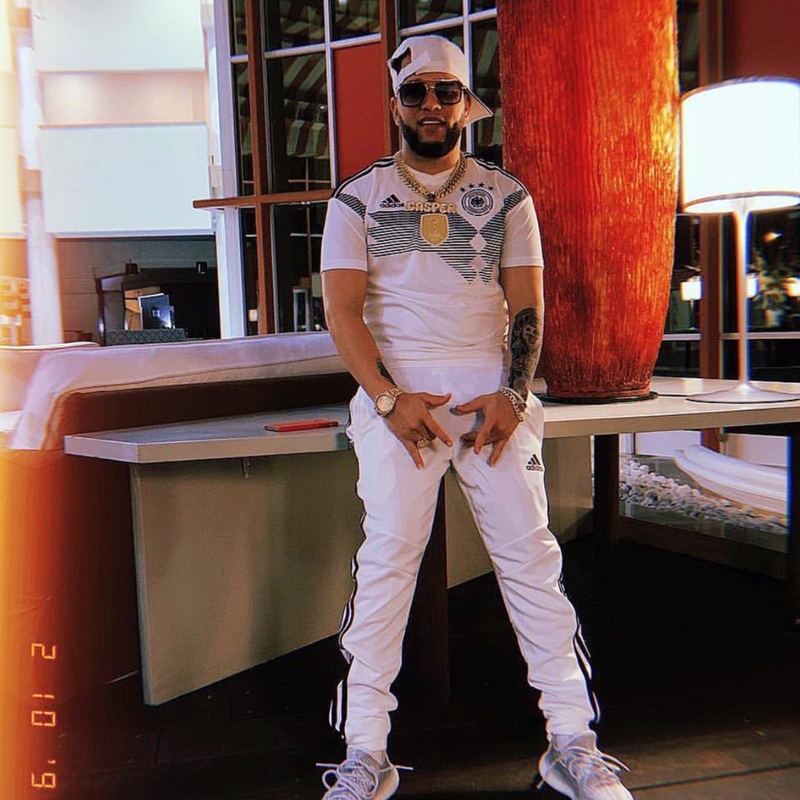 After an incredible year 2018, Anuel AA continues to figure in the top positions of the most important music listings internationally. Vegas, Nevada on Telemundo, on Thursday, April 25. This entry was posted in Feature and tagged 360 Magazine, art, billboard, Canada, Cape Town, Celebrity, Chicago, China, culture magazine, Dallas, design, edgy fashion magazine, edgy fashion magzine, gala, Global Society, Indie Music, iTunes, Jakarta, Japan, Johanessburg, King of Trap, Latin, London, Los Angeles, Melbourne, Miami, Milan, music, music awards, Netherlands, New York, newmusic, Paris, professional, San Francisco, spanish, Sweden, Sydney, Vaughn Lowery, YouTube on February 14, 2019 by wp360mag. The Puerto Rican performer is fortunate to have multiple nominations at the most important awards ceremony of Latin music: Billboard Awards 2019. As for the art of “magic”, fame, international recognition and respect for a growing and competitive music industry, knocked on the door of Casper Mágico after his collaboration in the remix of the song “Te Bote”, where he shares verses with the “creme de la creme” of the urban genre: Ozuna, Bad Bunny, Nicky Jam, Darell and Nio García “The song Te Bote is and always will be a super special chapter in my artistic career, as well as collaborating with great exponents of the genre, it gave me the opportunity to get closer to the audience through my music,” said Casper. Music Awards gala will be televised from Las Vegas, Nevada on Telemundo, on Thursday, April 25. This entry was posted in Fashion + Music and tagged 360 Magazine, art, awards, Bad Bunny, billboard, Canada, Cape Town, Casper Magico, Chicago, culture magazine, Dallas, darell, design, edgy fashion magzine, Hot Latin Song, Indie Music, Jakarta, Japan, Johanessburg, las vegas, Latin, Latin music, London, Los Angeles, magic, Melbourne, Miami, Milan, music, music industry, New York, newmusic, Nicky Jam, Nio Garcia, Paris, puerto Rican, Puerto Rico, San Francisco, Sweden, Sydney on February 14, 2019 by wp360mag.